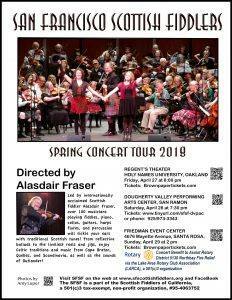 On Sunday afternoon, April 29th, come listen to beautiful music from the rich and enduring Celtic musical tradition by The San Francisco Scottish Fiddlers organization. 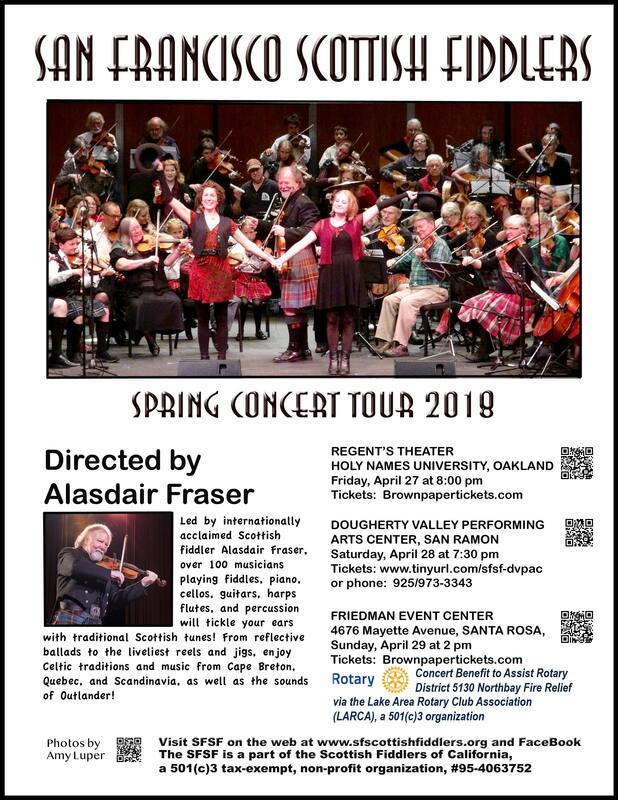 As part of their 2018 Spring Tour, they will be putting on a performace at the Friedman Event Center in Santa Rosa solely to benefit our Rotary District 5130 Fire Relief Fund. They want to help in this worthy cause, as 5 of their members also lost their homes to the fires, and they are aware of our District’s Fire Relief Fund because two of their “fiddlers” are Rotarians Greg and Lili Freitas of Petaluma Sunrise Rotary. At $25 for adults, and $20 for seniors and students, this is a great way to spend the afternoon and help our worthy cause. Go to http://www.sfscottishfiddlers.org to purchase tickets. Click here for the brochure with more details.